Rachel Hoffman is a freelance journalist and communications specialist in Chicago trying to make rent and liberate minds through storytelling. You can drop her a line at Rachel.e.Hoff@gmail.com or visit her website at http://rachelehoffman.com. 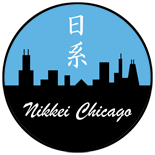 This entry was posted on April 10, 2015 by R Y in Community, Family, Politics, Yonsei and tagged Asian Americans Advancing Justice - Chicago, Rebecca Ozaki, Sam Ozaki.